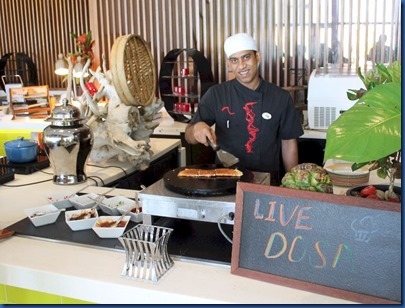 Dosa is a popular South Indian specialty that we have enjoyed a few times in the Maldives. Made with egg, rice flour and coconut milk it is served with curry. 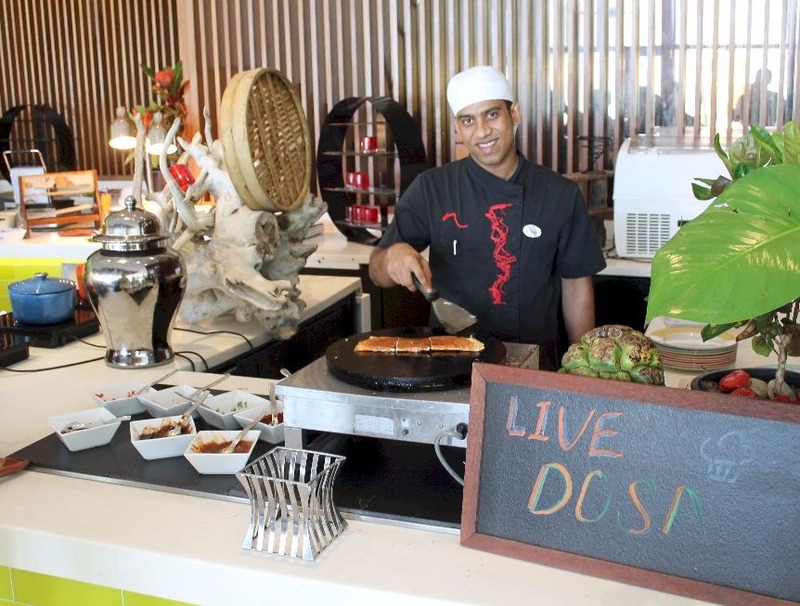 But the main restaurant at NIYAMA features a “Live DOSA” station which makes it fresh and customised to your particular liking.